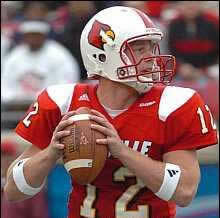 We conclude our series with thoughts from former UofL QB and hometown hero Brian Brohm! Being from Louisville and growing up a huge fan of the Cards, I understand the significance and importance of the UofL-UK rivalry. I remember being a little kid and cheering for my brothers at UofL before the rivalry game was ever renewed. I was always frustrated with the fact that we did not get to play UK in the regular season. UofL football was becoming very good and it always bothered me when other kids at my school would try to say that UK football was better. They would always use the SEC argument, which they most likely were repeating from listening to their parents conversations. 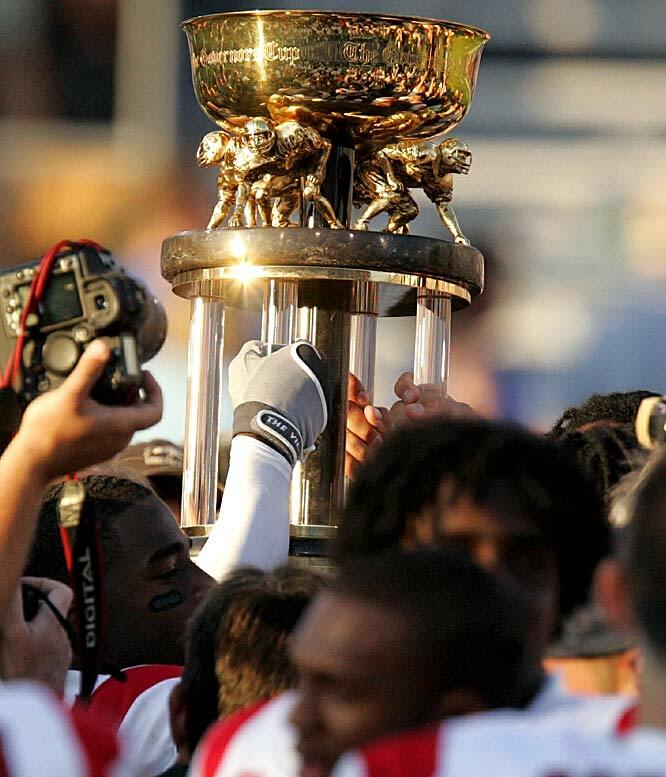 However, I just knew that UofL was better at football and was just as excited as every other UofL fan when the Governor’s Cup was created and we got the chance to prove to everyone in the state that we were superior in football. Another memory I have comes as a recruit. As a senior in high school, I went on an unofficial visit to Kentucky to see the UofL vs UK game. My brother was coaching in his first game for the Cards as the quarterback coach and my parents were not very good at hiding their excitement. We went up that day and wore neutral colors because we didn’t want to offend the UK coaches, but there was no way we were going to wear blue. Louisville won the game and it was hard not to cheer for the Cards out loud because we were sitting in the UK recruit section. However, I remember how excited I was for UofL to win and for my brother to see his QB play good in such a big game. As a player, I knew just how big the UK game was for our program. I am not sure the out-of-state players really felt how important the game was for us, but coach Petrino made sure that he got them to understand that this game was VERY important. We were not allowed to lose to UK, and everyone knew that practice would be HELL the week after if we did. My favorite moments would have to include: my first action as a Freshman and leading the team on a touchdown drive; scoring two rushing touchdowns as a Sophomore in my first career start; and the blowout victory of 2006. Watching Michael Bush run through all 11 of the UK defenders is how I like to remember the rivalry and is the type of image I look forward to seeing every year.